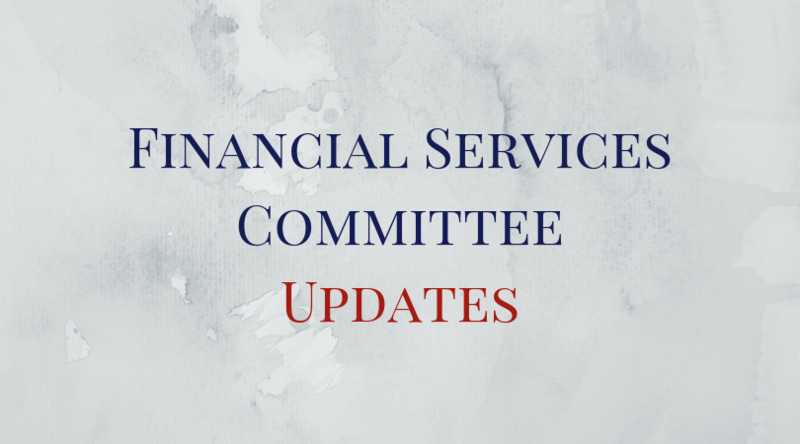 The beginning of 2019 brought a series of issues to the attention of the Financial Services Committee, that has resulted in two Committee Meetings. The first meeting was focused on the peculiarities of the application of the NCOs supervisory charges on the microfinance organizations and leasing companies which have not yet been registered as non-bank credit organizations with the Authority. The Meeting resulted with a Request for explanatory notes letter that was submitted to the NCFM last week. Additional correspondence with the authority will be developed on this topic. On January 31, the Committee held its annual Committee meeting were a report of activities was presented and new priorities were set. Additionally, the discussions on the peculiarities of the application of the Law 1/2018, as well as the topic of abusive clauses within loan agreements were discussed in the Committee.